Anyone getting married out there, I wanted to give you some advice. Plan like it’s going to rain. That’s my good advice – take it or leave it. 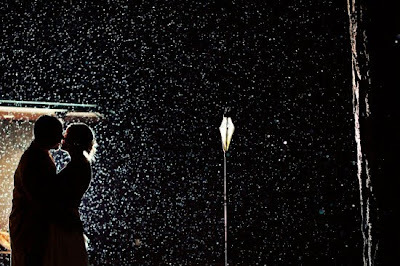 Everyone always frets if rain is forecasted on their wedding day. 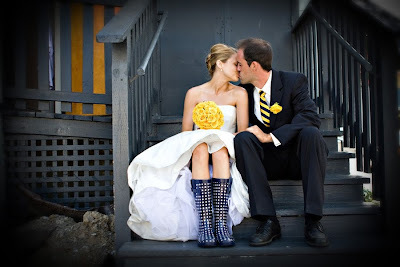 Back when I was a bride, I decided to flip that fear on its head and embrace the chance of showers with a preparedness plan - I had some cute umbrellas on back up (didn’t end up needed them). 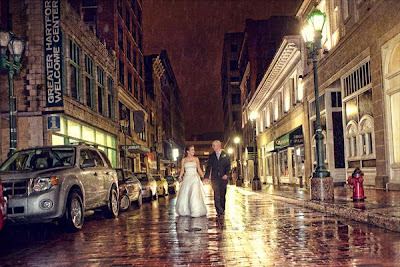 Since I love photography, I’ve recently seen some super fun, rain laced, wedding pictures that I wanted to share with you. 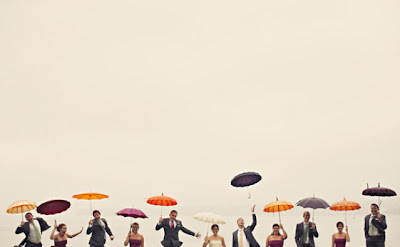 And remember, if it rains on your wedding day, don’t add to the water with tears – have fun with it!! And I LOVE this one! !